Have you ever entered an action-pistol match? What about IDPA or USPSA? Well, imagine a challenge much like the former but with three guns instead of just one. That’s what 3-Gun matches are! Like other action shooting sports, in 3-Gun you tackle a series of stages, navigating a particular course of fire on each and engaging targets of various types. The difference is that you’ll use your rifle, shotgun and handgun throughout the match—sometimes two or more on the same stage. There are different types of targets for each type of weapon, from paper to steel targets to flying clays. There are even specialty targets, which move, spin, rotate and disappear from view to increase the challenge as well as your stress level. For example, at a 3-Gun match, you might start with your pistol holstered. At the buzzer, you draw your gun and engage numerous paper and steel targets while working around barricades and other obstacles. Reaching a doorway, you safely abandon your pistol in a drop bucket and pick up your rifle, staged at the doorway. Moving through the doorway, you shoot paper targets through windows on either side of a hallway. Emerging from the hallway, you finish by engaging paper targets hidden behind clusters of blue barrels. Another 3-Gun scenario starts with your trusty shotgun in hand. You shoot several steel targets at 50 to 75 yards with slugs, then, switching to birdshot, fire at a series of steel pepper popper targets. The steel targets fall down and launch a clay bird up in the air, which you must shoot before it hits the ground. You reload your shotgun as you move forward and shoot several other arrays of steel and clay targets scattered behind barricades and barrels. After you safely leave your shotgun in a dump barrel, you retrieve your pre-staged rifle and run to another shooting position with steps up to a platform, engaging several close-range paper targets along the way. Leaping onto the platform, you settle in and shoot 10-inch steel targets 200 to 375 yards away. If this doesn’t get your blood pumping, check yourself—you might need one of those little blue pills. Three-gun has a long and proud history of large matches with their own particular flavor in various parts of the country, drawing in competitors from around the nation. 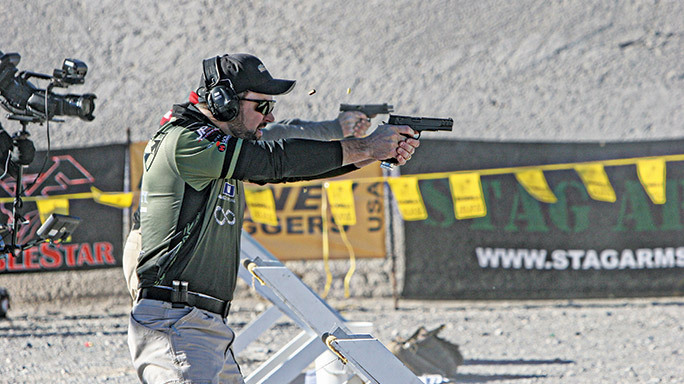 Similarly, many local clubs put on 3-Gun matches, each with their own flair. Rules and equipment divisions can vary from one to another. 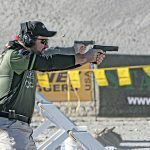 One organization, 3-Gun Nation (3GN), brings even more attention to the sport with large cash prizes, televised coverage and its Pro and Regional series matches and club affiliations across the country. 3GN has its own brand of fast and furious stages, and yet another set of rules. 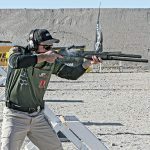 There are also 2-gun matches, which dispense with the shotgun and focus on rifle and pistol; the U.S. Carbine Association (USCA) is just one example. When getting started with 3-Gun matches, we advise that you simply run what you’ve brung (see the sidebar for more on this). Until you have more matches under your belt, you won’t really know what equipment will work best for you. 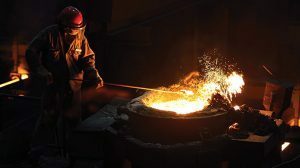 It does, however, help to have a sense of what equipment division you’d like to participate in. To maintain a more level playing field, competitors with similar types of gear are grouped and ranked together. Given the prevalence of outlaw matches with slightly different rules, we present the following as a general guideline. Check your own matches for specifics. Tactical Optics: The most popular division, Tactical Optics (similar divisions have slightly different names depending on the match), is jam-packed with meat eaters and is usually the most competitive. A rifle can only have one optic (a magnified scope or a red dot plus a magnifier), no bipod and a reasonably sized compensator. Offset iron sights are allowed. The shotgun must be a conventional tube-fed system with iron sights and no porting; magazine capacity limitations may vary. Your handgun can generally be similar to a Limited class handgun in USPSA—iron sights, no compensation—but otherwise can be customized. Limited: A Limited division rifle is similar to the Tactical Optics specs, except it’s restricted to either iron sights or an unmagnified (1x) optic, such as an Aimpoint or EOTech red-dot sight. Shotgun and handgun rules are usually shared with Tactical Optics. Open: Open division is pretty much unrestricted. You can bolt just about anything you want on your rifle, your shotgun can be a red-dot-topped, magazine-fed marvel that belches fire, and your pistol will probably have a huge compensator and a red-dot sight as well. 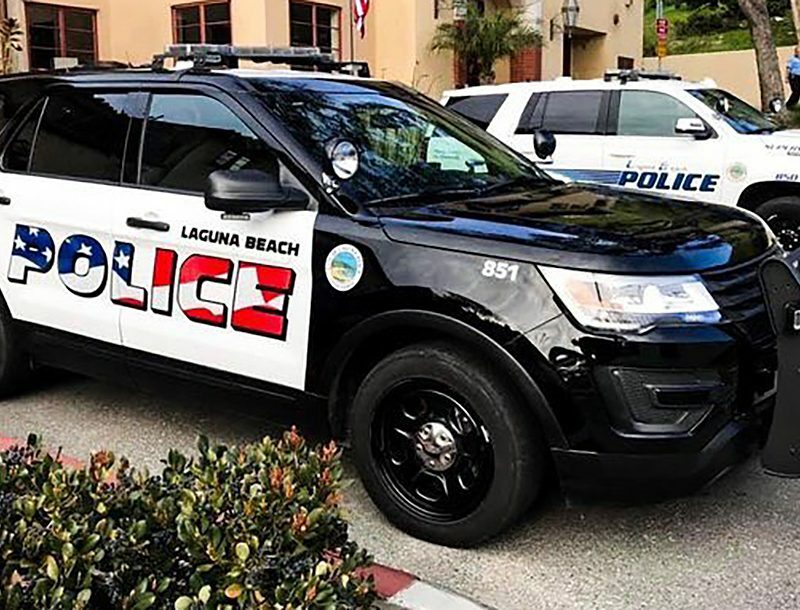 Heavy Metal: Heavy Metal typically refers to equipment divisions where the rifle must be at least 7.62mm in caliber, shotguns are 12-gauge pumps and handguns are .45 ACP, like John Moses Browning intended. And with all that manly gear, you shoot the same stages that other guys are running their powder-puff .223s and 9mm race guns on. There’s a reason some 3-Gun matches call this the “He-Man” division. Barrel/Ammo: If you typically encounter long-range targets at your 3-Gun matches, match-quality barrels and match ammunition are very welcome advantages. For example, a 10-inch target at 350 yards is less than 3 MOA, so it’s helpful to have a rifle and ammo capable of 1 MOA. Many 3-Gun competitors will run cheap ammo for close-range stages and switch to premium ammo for precise targets. That being said, a 2- to 3-MOA system is perfectly serviceable, and you can upgrade as you get more serious about the sport. Optics/Sights: Quality optics or sights (depending on the division you intend to compete in) are very important. For magnified optics, low-power variable zooms such as 1-6x and 1-4x scopes dominate the sport. Reticle design is critical, as you will typically zero your rifle at a particular distance, such as 200 yards, then hold over (i.e., aim high) to engage targets that are farther away. The reticle needs to provide reference points below the center crosshairs for you to aim with for long-range targets. Additionally, a reticle with daylight illumination or a design that is easy to pick up lets you quickly engage close targets. The former feature usually comes with a high price tag, but a 1x with bright illumination essentially works as well as a red-dot sight. Open division competitors generally supplement their magnified optic with an offset-mounted mini red-dot sight so they can simply roll the gun a bit in their shoulder and use the red dot for close targets. For iron-sight shooters, quality fixed iron sights with maximum sight radius are most effective. And for red dots, you’ll typically see a variety of models represented. Trigger: A good trigger enables noticeably easier precise shots without disturbing your aim, and many also make it a cinch to rip off lightning-fast double-taps. Muzzle Device/Operating System: Given their obnoxious muzzle blast, compensators won’t win you any friends with neighbors on the firing line, but they are very effective at reducing recoil and minimizing muzzle movement between shots. In addition, the particulars of your operating system also affect the recoil impulse. For example, direct impingement AR-15s tend to be smoother than piston guns. 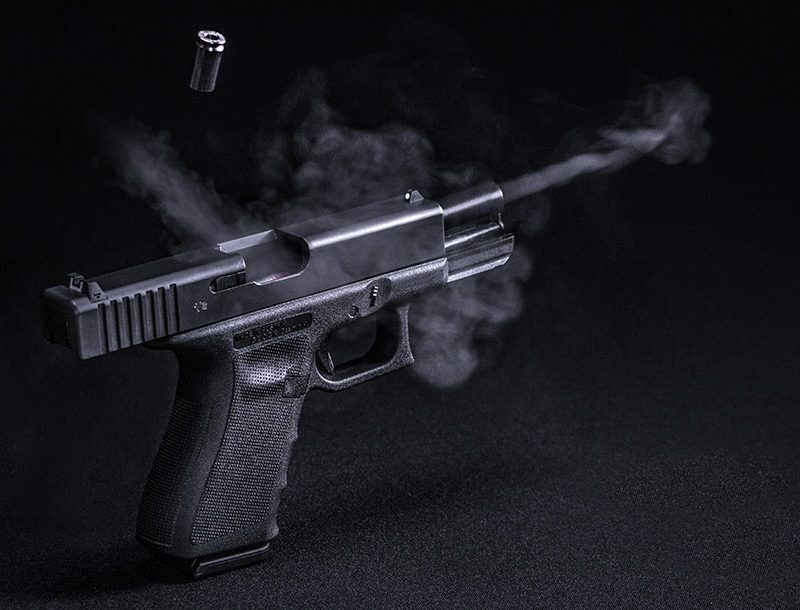 Moreover, for direct-impingement ARs, 18-inch barrels with rifle-length gas systems, 16-inch barrels with intermediate gas systems and 14.5-inch barrels with mid-length gas systems generally provide the nicest recoil. You can take things even further by utilizing adjustable gas blocks, lightened bolt carrier groups and lighter buffer systems to reduce the reciprocating mass in your AR-15. To be sure, AR-15s hardly have stout felt recoil to begin with, but when you’re trying to put two shots on a paper target as quickly as possible or to see your impacts through your scope at 300 yards to adjust your aim, these enhancements really make a difference. Ergonomics: There are almost limitless combinations of handguards, buttstocks, grips and so on that you can choose from to make sure your rifle fits your needs rather than the other way around. Magazines: It’s very helpful to have a selection of different types of magazines, from smaller 20-round options to extended ones with capacities well in excess of 30 rounds. For example, depending on the particular stage design, an extended magazine could allow you to avoid needing to reload on the clock, while a shorter 20-rounder might allow you to lock in a good supported shooting position on a slanted surface like a rooftop. Two magazines cinched together can also act as a very stable monopod while shooting from prone. The most common shotguns used in 3-Gun matches are traditional semi-automatic, tube-fed shotguns that have been modified for the sport. Pump-action shotguns are also used in Heavy Metal as well as magazine-fed shotguns in Open. Almost all are 12 gauge, though you might run across a 20 gauge from time to time. The Benelli M2, the FN SLP, the Remington Versa Max and the Mossberg 930 are popular, as well as new offerings from Beretta and Stoeger (1301 and M3K, respectively). Vent Rib Barrel: Traditional shotgun targets, such as flying clays, play a big part in the game, so shotguns are configured appropriately—you’ll most often find longer vent rib barrels at the matches (usually 21 to 24 inches). Additionally, many shooters add a rear sight to their vent rib to dial in a zero for their slugs; having a good slug zero is also important in most of the 3-Gun matches. Extended Magazine Tube: You’ll generally want as much magazine capacity (i.e., 10, 11, 12) as allowed by the rules of your matches. And, yes, it will start to look absurd, like you’re getting ready for a pole vault. 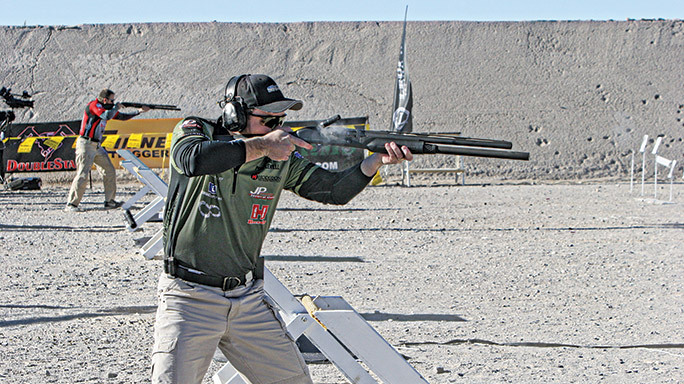 Extended Shell Carrier/Beveled Loading Gate: Given how much longer it typically takes to load your shotgun than to actually shoot it, reloading your shotgun quickly and efficiently is a crucial skill and can make or break your scores on certain stages. Combined with shotgun shell caddies that are specifically designed for particular reloading techniques, customizing your shotgun’s loading gate, shell carrier and other internal parts goes a long way to achieving this. Interchangeable Chokes: As you get more serious about 3-Gun matches, you’ll likely appreciate the ability to select specific types of chokes for different stages—tighter chokes for tougher targets farther away, wider chokes for flying clays and close targets. Enhanced Controls: Extended bolt handles, carrier releases, safeties and other doodads are all available to put the finishing touches on your 3-Gun shotgun. None are mandatory, but they’re certainly nice to have. Good Sights & Trigger: Quality sights help with precise shots—the more demanding of accuracy your particular match, the more you should consider sights conducive to that (such as thinner front sight posts). Similarly, a good, crisp trigger is valuable, too. Extended Magazine Capacity: The less frequently you need to reload, the better, so large-capacity magazines with extended basepads are commonplace. Secure Holster: There can be a lot of running about, so you want to secure that blaster, lest it fall out and you get sent home for a safety violation. A common requirement across all of these platforms is reliability. As much as your tacti-cool buddies might denigrate competition-focused weapons, if you have a malfunction on the clock during a match, it could cost you dearly in the standings. Competitors need reliable guns just as much as anyone else. However, that being said, as a competitor, you know exactly what ammunition you’re feeding your weapon and the conditions you’ll be facing, so you can tune your weapon to function optimally without needing to account for the wider extremes that you might need in a duty gun. The bottom line is that many folks say 3-Gun matches are the most fun you can have with your clothes on. We heartily agree. Give it try—even if you don’t have all the right equipment, just grab what you’ve got and head out to the range. Three-gunners are a friendly bunch, and you’ll find squad mates gladly lending you gear to get you started. Once you get hooked (and we suspect you will), you’ll have plenty of time to buy your own.